How to convert MSG to ODT in batches? 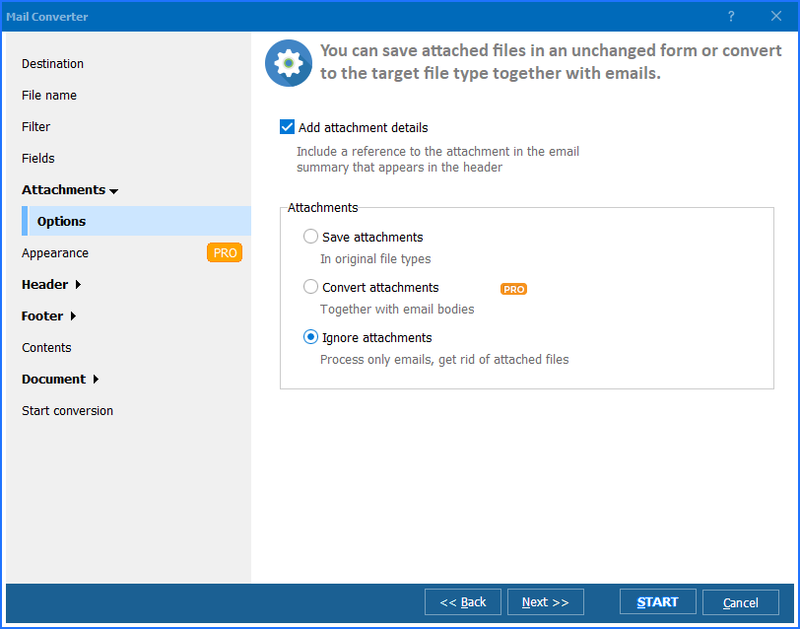 You are here: CoolUtils > Total Mail Converter > How to convert MSG to ODT in batches? Messages from Microsoft Outlook or other programs that are in MSG format are not suitable for reading elsewhere except your mail program. You can extend their compatibility by converting them to ODT. This is an OpenOffice text format supported by many document editors and viewers. 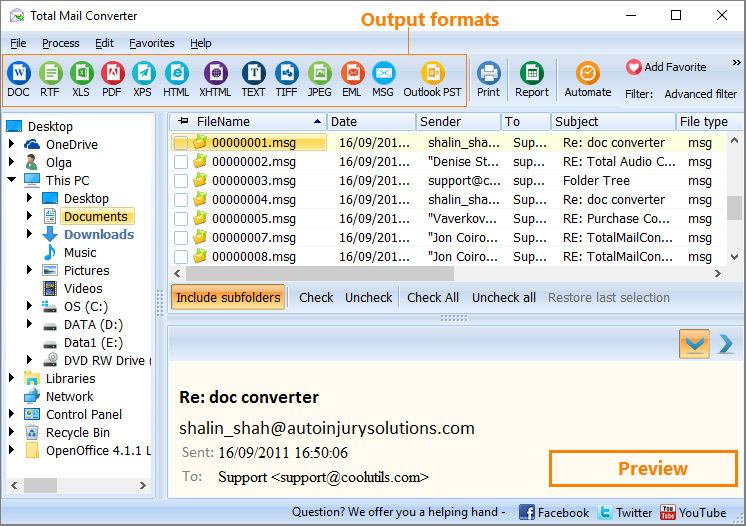 Total Mail Converter is able to convert MSG to ODT in batch. This is very convenient for fast processing of many source files. As you see, nothing difficult is required. You can convert batch of files to separate ODT copies or into one single document. This depends on your needs. For creating a compact local storage of mail history one ODT file is recommended. But if you need to share some parts of emails to various users, it will be better to make separate ODT copies. All formatting parameters are optional in this MSG converter, and you can ignore them. If needed, you can setup paper format, margins, set email fields for conversion, etc. 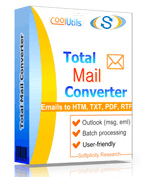 Opposite to other converting tools, Total Mail Converter offers selective batch conversion. When you convert MSG to OpenOffice, you can extract only email body from each source email, or convert the whole messages excluding recipient and date info. If some messages were attached to original emails, they can be converted too. 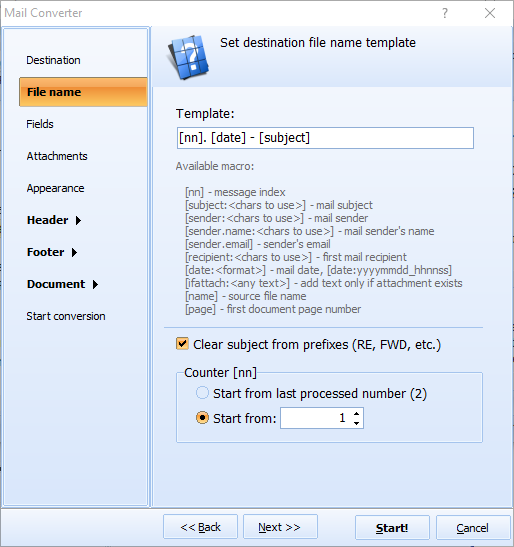 For processing other attachments you need to get Total Mail Converter Pro. Standard version of Total Mail Converter is available in a 30-days free trial. Get this tool for a test!